Жанр: Культура, искусство, наука на английском языке и др. 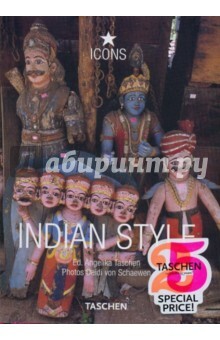 Аннотация к книге "Indian Style"
A compact guide to Indian architecture and interior design. Starting in the North of India, this compact guide to the best of Indian Style takes the reader on a tour down through to the south of the country, exploring a wide range of Indian architecture and interior design. Издание на английском, французском и немецком языках. Скачать книгу Indian Style.